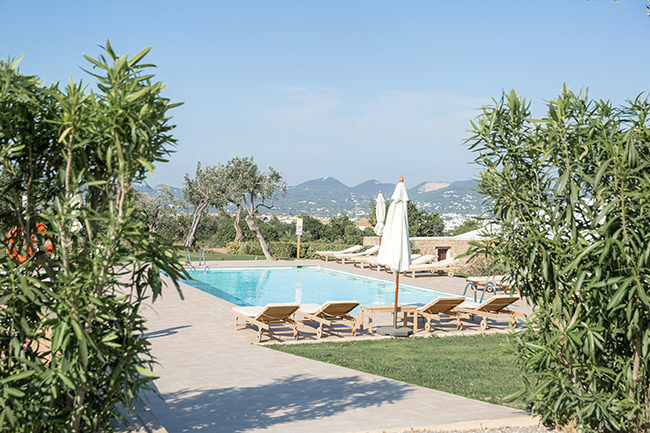 So, we’re always on the lookout for great hotels near Ibiza town – when we’re working, it’s hard to be out in the sticks. Over the years we’ve found a couple that work, but most are from larger hotel groups. 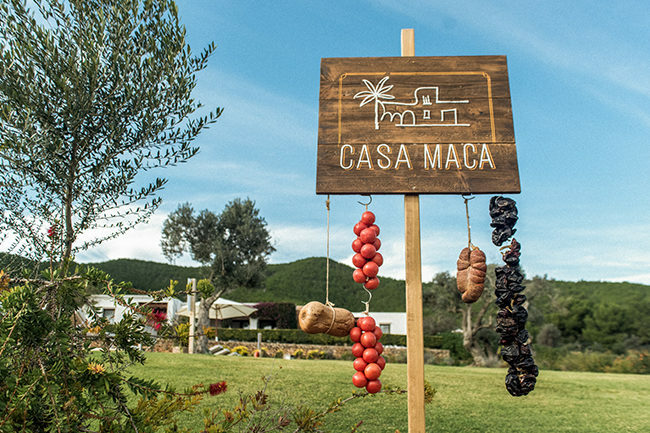 Casa Maca, an independent rural hotel that’s moments from Ibiza town, has filled a much needed gap on the island. It’s central, but still feels like you’re away from it all; it’s small, but perfectly formed; and importantly, it’s open year-round. This might just be our new favourite abode. 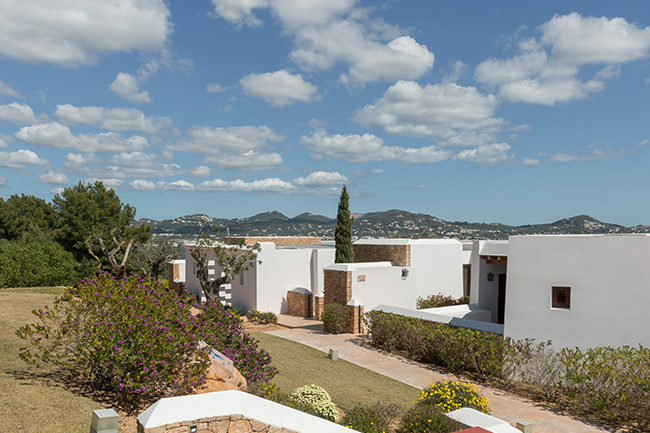 Located in the hills of Can Palau (which is just outside Ibiza town), the 300-year-old farmhouse is set on acres of land, with seriously stunning views of both Dalt Vila (the old town) and the sea. 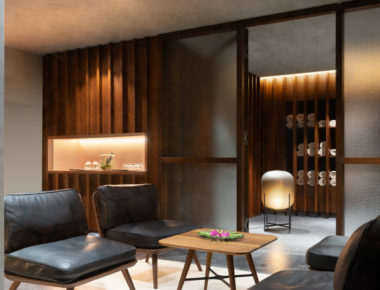 The authentic spirit of Ibiza runs through the very backbone of this hotel. There are no buddhas. No pumping house. No oddly placed cold designer furniture around. Here it’s just history, views, spacious suites, great food, and excellent company. As you’d expect, it’s pretty laid back here. Drive up the gravel road and enter an oasis of calm that’s a world unto itself. The restaurant and grill/bar area is a local meeting point, and both are buzzy from day to night, which adds a nice balance to the atmosphere. There’s a huge traditional oil mill just off reception, reminding you of the history of the place, and the cosy living room (complete with roaring fireplace and low lighting) is exactly where you want to spend an evening – especially in the winter. The décor throughout leans towards muted shades and bohemian vibes and there’s an overall jovial spirit here: staff stop to get to know you, fellow guests say hello. Another faceless hotel this is not. Somewhere that could definitely become your second home, this is. Outside you’ll find fragrant trees aplenty – almond, carob, fig and fruit – and there’s Med foliage all around. 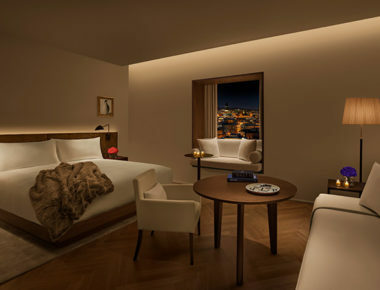 With eight junior suites and two suites, each one of the rooms, all with terraces, feels like your own private casita. Décor is simple but chic (UJ loved the cast-iron four-poster beds with what felt like foam mattresses – seriously comfortable), and some come with Jacuzzi baths, sofa beds and fireplaces. Toiletries were on the luxe side: Marvis toothpaste and a new (to us) brand we fell in love with, Grown Alchemist (which is stocked on Net -a- Porter). 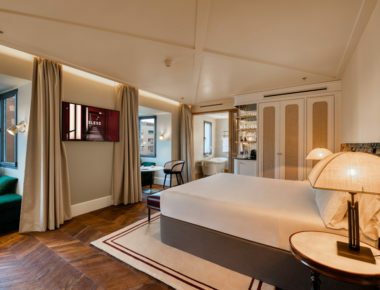 Robes were plush, there’s a Nespresso machine and we hear that the mini bar contents are about to get an innovative, somewhat healthy upgrade. Terraces, with views to the sea and Dalt Vila, are exactly where you want to be for sunset. If these were flats we could take for the summer, we’d have two, thanks. 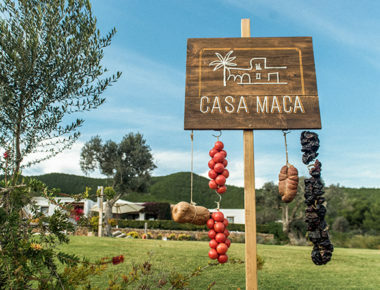 As this hotel is owned by the famed Café Mambo family, who are very well known for their F&B (Cala Gracioneta, one of their venues, is a UJ fave and frequently cited as a favourite beach restaurant on the White Isle), the food is as great as you’d expect. The much-loved local chef David Reartes heads up the main restaurant, and the focus here is on ingredients; menus are constructed based on what’s in season, and the cuisine is contemporary Spanish/Med. On weekends, they have a grill (meat is hung Francis Mallmann style), as well as a roast on Sunday, and they often have different pop -up chefs/nights in, keeping things interesting. They have an Airstream bar on the property, and DJs on weekends too. The wine selection is great, and they make a mean cocktail! The staff here were incredible. For a small hotel, this is one slick operation: amazing service that’s also understated and friendly (they found a way to get pizza from a great restaurant delivered straight to our room as we were tired – top that!). 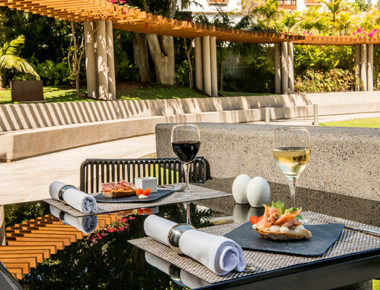 UJ loved the restaurants – it’s hard to leave the hotel when the offering is this good – and sometimes it’s great to be able to do just that: stay put. 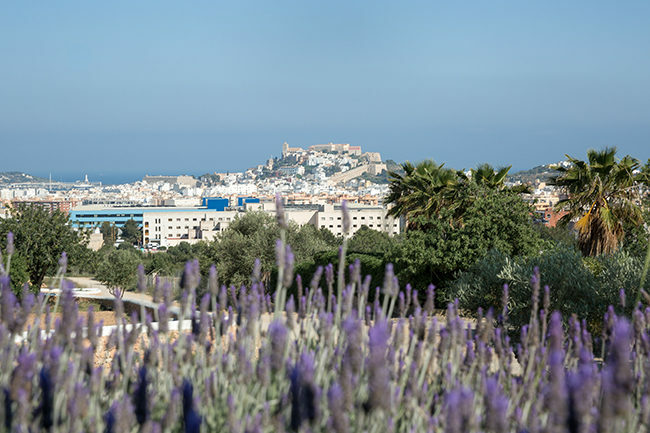 The location, too, can’t be beat: it’s a stone’s throw from both Dalt Vila and UJ fave Talamanca, and a short drive to the airport, and standout views mean you don’t even have to leave at sunset – it comes to you. The size of the rooms is a real plus – in Ibiza, you’re used to being on top of one another. Space is such a luxury. And the lighting everywhere – soft lights inside, strings of lights outside, plus fireplaces and pits – nothing beats soft lighting. This is one romantic spot. Oh, and the room keys. We’re a sucker for leather room keys, and the ones here are very close to the Balenciaga one. 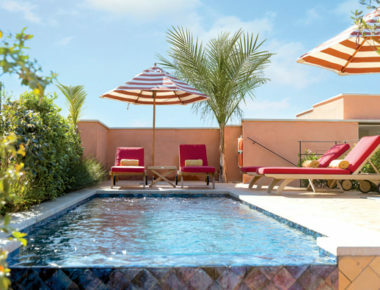 They have a beautiful pool and in-room massages are available. 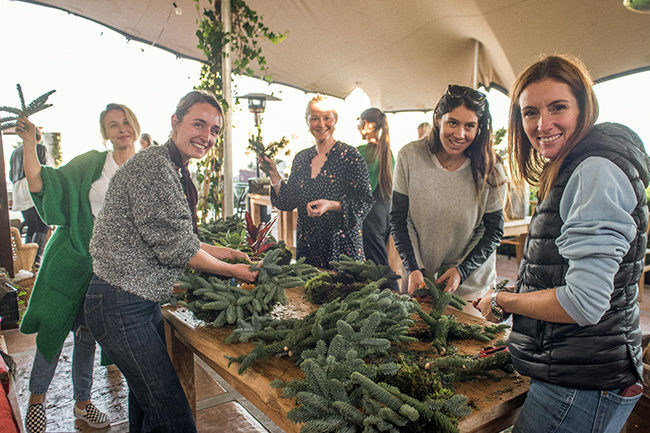 Check their Instagram for special nights and weekends; their new, annual Christmas Fair is not to be missed. They also have weekly workshops (candle -making, anyone? 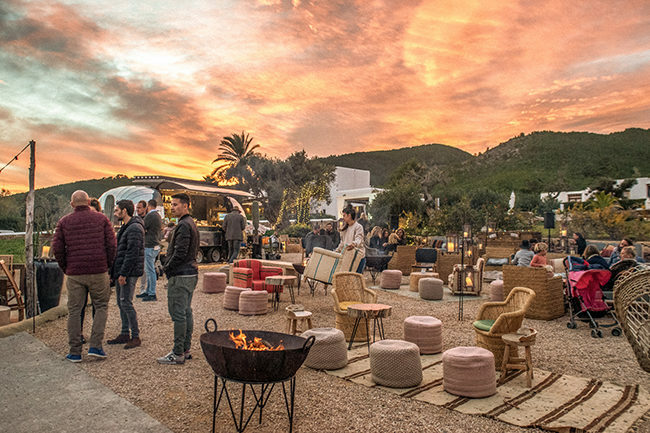 ), are planning Easter/spring festivities, and are launching a new ‘sensory dining experience’ called Uncommon Sense with UJ legend and ex-Noma chef Boris Buono (from Food Studio) and DJ Buda. They are also excellent on local recommendations (especially lesser known ones that are open year-round), so do ask. 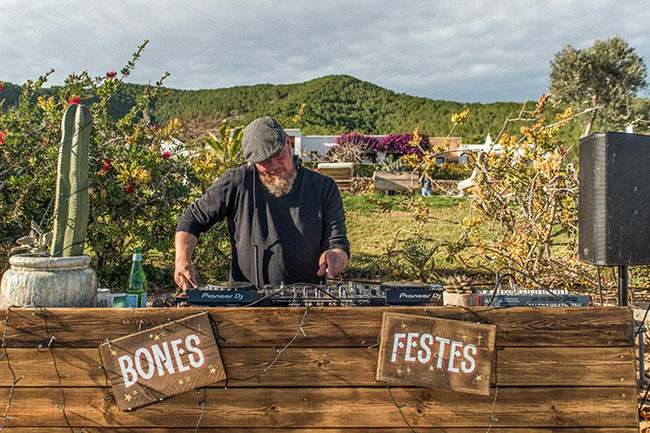 It’s hard to stump us in Ibiza, but they led us to two great finds we didn’t know about: a local wine shop Eivins (with oysters, cheese and indie wines), and Es Ventall, a contemporary Ibicenco restaurant where the acclaimed chef’s grandma is the front of house – UJ loves. Say hi to the family if they are around – they’re the best! Expect to see their global network of friends and family staying and playing here too. This isn’t for the bling crowd, this is for the insider one. See you there!